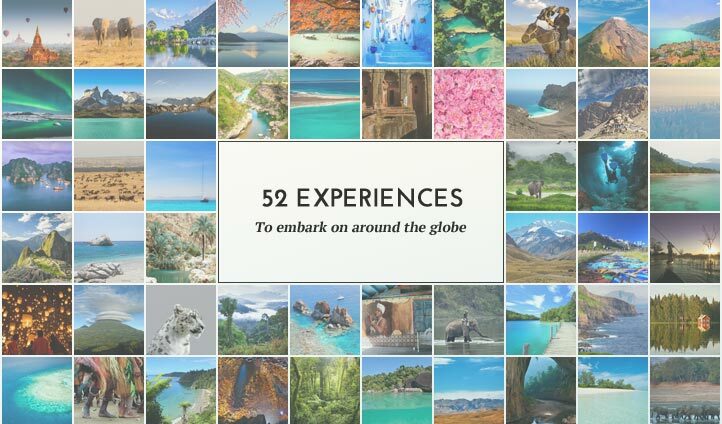 The world is bursting at the seams with unforgettable little secrets, but we’ve handpicked 52 unmissable, off-the-beaten-track moments from all corners of the globe that you need to experience at least once in your lifetime. From skiing the Arctic fjords in Norway to bathing in hidden lagoons on the Shark Bay peninsular, we’ve delved into the most remote and untouched locations on earth and uncovered some seriously tantalising trips that are just so special that we couldn’t keep them to ourselves. The real questions is, which one first? Costa Rica is a country of diverse and contrasting natural beauty, ranging from imposing volcanoes, majestic waterfalls, tropical lush rainforest and mystical cloud forests. The Monteverde Cloud Forest is a rare and highly biodiverse ecozystem, and this beautiful environment homes intriguing native species of plants and animals. Encounter soaring trees festooned with lichens, abundant orchids and over a hundred species of mammal including the cheeky capuchin monkey, the lazy sloth, the elusive quetzal and the endangered three-wattled bellbird. The magical Sky Walk allows you to experience these natural wonders through traversing the clouds across incredible suspension bridges, or alternatively fly through the mist on the exhilarating zip wire. This specialized habitat stretches across 10, 500 hectares and can also be explored on foot or on leisurely horseback. This unique trip offers an unforgettable opportunity to connect with nature in a world above the clouds. Situated off the south coast of New Zealand’s South Island, Stewart Island or Rakiura as it is known as by the kiwis is one of the most untouched and beautiful parts of the country. The Rakiura National Park covers 85% of the island, hiding completely undisturbed beaches and abundant wildlife amongst the swathes of luscious rainforests. Home to the largest population of the indigenous kiwi bird, Stewart Island is a haven for the rare and endangered wildlife found nowhere else in the world. Hike the Rakiura trail to totally secluded beaches where you can set up camp, listen to the calls of the wild and if you’re lucky, spot the elusive Aurora Australis. This is one of the best places in the world to spot them, after all. Channel your inner hunter in the isolated landscapes of Western Mongolia, where hunting is almost impossible without the aid of an essential hunting partner, the golden eagle. The Kazakh Eagle Hunters nurture, train and master their eagle to hunt elusive prey and this unique experience allows you to witness this extraordinary long-standing tradition with truly nomadic people who are masters of this remarkable way of hunting. Experience a unique and rich understanding of some of the last remaining Kazakh nomads whose isolation has allowed their cultural practices and traditional language to remain intact without modern influence. Explore the vast depths of the Altai Mountains on horseback and reside with charmingly hospitable Kazakh families in Ger camps in the heart of the dramatic aimag of Bayan-Olgii. The jaw-dropping beauty of Western Mongolia and its nomadic settlers should be put right at the top of your bucket list. Known for its incredibly unspoiled and beautiful landscape, Folegandros is tucked away in the Cyclades, between Santorini, Sikinos and Milos, just a short boat trip away from the bustling Greek capital, Athens. Much smaller and comparatively untouched compared to its much more well known neighbor Santorini, this tiny island holds many secret coves, scenic Hora and stunning views across the Aegean sea – the perfect place for those looking to retreat away from the Mediterranean crowds and get a feel for how Greece used to be before the tourism boom. With a third of the planet’s last remaining mountain gorillas situated in the northwest corner of this tiny country, an eco-friendly safari is a must. Hike through dense bamboo forests and awe at the Virunga Mountains as you trek across the stunning landscape in search of these beautiful creatures getting up close with one of the most endangered species of primate in the world. This safari-focused tourism is leading Rwanda’s spirited comeback from the genocide that scarred the country nearly two decades ago. It’s great value for money and hasn’t been inundated with luxury design hotels which would perhaps distract from the main reason to visit Rwanda – wildlife and incredible trekking. The birthplace of the walking safari, head off-the-beaten-track in Zambia and experience the heart of raw, authentic Africa, untouched or tarnished by mass tourism or modern influence. This rare opportunity allows you to experience this beautiful, rugged landscape on foot as you peacefully immerse yourself in the habitat of the majestic big five in Zambia’s spectacular Moremi Game Reserve. Home to abundant wildlife from an leopards to giraffe, zebra to wallowing hippo, Zambia offers an unforgettable profusion of wildlife. Think luxurious walk-in tents, refreshing bush-style showers, clear starry nights and welcoming guides in an area of authentic natural beauty. Trust us, you will never want to experience a safari another way again. Hidden in the heart of the Phong Ke Bang National Park in Vietnam and only accessible by boat, you will discover the vast Garden of Eden of Hang Son Doong. Fewer people have been lucky enough to visit than have reached the summit of Everest and with the cave only being discovered in 2009 there are still parts of the Son Doong cave yet to be discovered. Camouflaged amidst lush jungle you will be amazed to find this colossal cave, large enough in its central chamber to house a Boeing 747. Find yourself mesmerised as you venture into the caves magical depths, wandering the corridors adorning ancient fossils and housing infinite stalagmites, while subway rivers meander past you towards turquoise pools, against a backdrop of dense jungle. Keep your eyes peeled for a flying fox, hornbill or monkey as you explore the surreal surroundings of this lost world underneath the cave’s own personal misty clouds. Sit under the flickering lights of hundreds of candles and sink your teeth into a feast of traditional Vietnamese cuisine. You won’t ever have had a meal like it. Tucked away in Finland’s far northwest on the Norwegian border sits Finland’s highest mountain, Mt Halti. The summit is technically in Norway, but a hike to the top of this Arctic mountain rewards you with views spanning across the untouched landscapes of Norway, Finland and on a clear day, Sweden too. Mt Halti sits in one of the most remote, yet beautiful areas of Scandinavia, the Käsivarsi wilderness area in the municipality of Enontekiö. Bathed in the midnight sun during the summer months, in winter this corner of Finland transforms into an endless white expanse, reminiscent of the snowy tundras of Antarctica. It’s an incredibly beautiful corner of the globe, especially when bathed in the green hues of the Aurora Borealis. Flanked by the breath-taking beauty that’s synonymous with British Columbia, we know a pristine little spot right on the Bedwell River that urges you to seek adventure and bask in the natural splendour of Canada’s jagged west coast. Splicing a proud wilderness heritage with the refined luxury of a boutique encampment, Clayoquot Wilderness Resort finds a balance between desolate adventure and all-encompassing luxury. Take a trip to this unique camp in the heart of the Clayoquot Sound for a visceral vacation that promises some of the finest adventure and wildlife watching opportunities in the whole of Canada. Surf the north pacific swell just off Tofino’s coast, hike to the panoramic viewpoint of Lone Cone and spot rare black bears in the old-growth rainforests of this ecologically stunning area. A rugged archipelago stretching across 18 wild, green, dramatic isles, the Faroe Islands are a unique and unspoilt haven. With easy access from well-developed roads, tunnels and bridges, it is surprising that this stunning area has remained such a secret of Denmark. Make sure you bring your camera, as this captivating landscape is a photographer’s dream with splashes of sunlight illuminating its grassy meadows, dramatic cliff tops and seas. Venture through valleys dotted with grazing sheep and enjoy a spot of lunch amongst the Michelin star food scene. Join the locals for a spot of fishing before watching the skies engulf the landscapes with hues of red, purple and pink as the sun sets below the horizon. Largely untouched by tourism this is a place to completely unwind away from the hustle and bustle. Do it soon, before the secret is out. Every year Tanzania sees a huge flurry of activity as the majestic wildebeests begin an epic journey during the Great Migration. The sound of over a million wildebeests stampeding is something you won’t easily forget as their hooves pound the Serengeti kicking up dust it’s no wonder this event is known as ‘the greatest show on Earth’. An event of this magnitude is something you need to see to believe and nothing can quite prepare you for the thrills and suspense as you watch these graceful beasts try and complete their mission in a real life showcase of survival of the fittest. We’ll make sure you get front row seats to this amazing spectacle, all that’s left is for you to pack your bags. Buoyantly balanced on the expanse of Lake Nicaragua, Ometepe is an restless island that epitomises the rustic beauty of Central America. 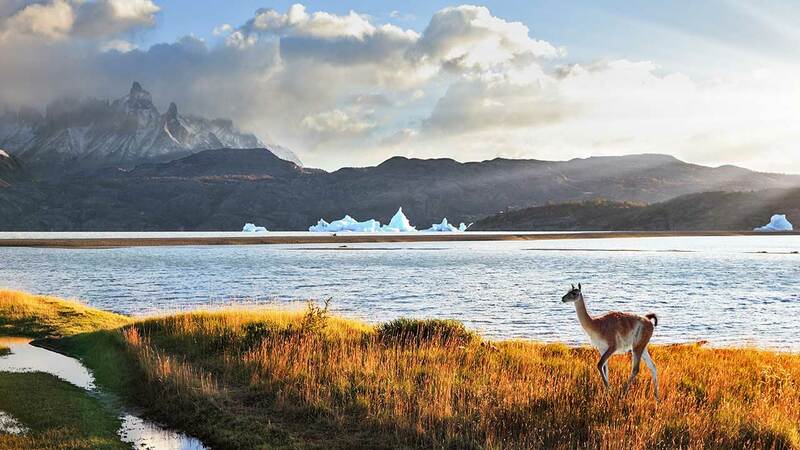 Composed of two soaring volcanoes that are conjoined by a shoestring of quaint villages and towns, the adventurous opportunities on this hour-glass shaped island are amongst the most exciting in all of Latin America. Our favorite way of experiencing the rugged natural treasures of Ometepe is by taking both volcanoes head-on and hiking the beasts on consecutive days. Starting with the youngest of the brothers, a hike to the inactive summit of Volcan Maderas takes you through furrowed cloud forest and diverse wildlife before reaching the rewarding waters of the swimmable crater lake. After a night of well-deserved rest, wake early to the sound of supportive howler monkeys and take on the postcard-perfect Volcan Conception, one of the most active volcanoes in Central America, whose summit affords truly unforgettable views across the expanse of Lake Nicaragua. Cast across the Andaman Sea like white-sand blemishes on an otherwise flawless ocean, the Mergui archipelago is one of the last truly untouched corners of the globe. Home to soaring limestone cliffs that are hugged by thick tropical greenery that plays home to scores of endemic wildlife, the Mergui Islands highlight the natural wonders of Myanmar. In our eyes, the only way to explore these castaway islands is by yacht, where utter freedom grants you access to explore and uncover ancient Burma’s best kept secret. 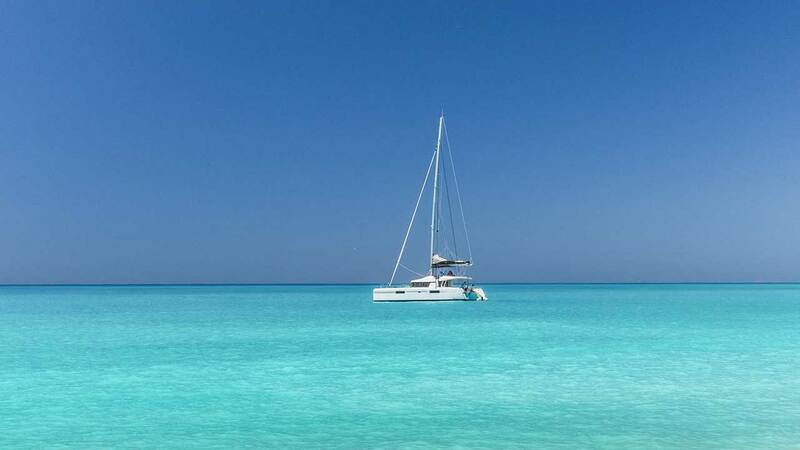 Slaloming between the pristine shores, you can sail for days without bumping into another living soul; unless you count the soaring eagles, curious iguanas and eclectic marine life that lap alongside your vessel. This is pure, undisturbed living at its finest. pend your time fishing in total peace, exploring the archipelago and charming nearby towns by bike or kayak serenely through its sparkling waters. As the sun goes down snuggle up by the fire in your cozy cabin and enjoy an array of delicious Scandinavian dishes. A nature lover’s paradise. Travel to Africa’s biggest oasis the Okavango Delta, for a unique and unforgettable safari experience. Powered by rainfall from the Angolan mountains, the delta is brimming with both water and wildlife, stretching across 10,000 square miles of papyrus swamps, water lilies, reed beds and flood plains. Marvel at the natural wonders this destination has to offer in the comfort of the delta’s iconic dugout canoe, the mokoro. Glide through the reed strewn waterways in this eco-friendly vessel surrounded by tiny vibrant frogs, kingfishers and dragonflies. This unique safari experience allows you to fully appreciate this idyllic area, as with no noise of a motor to frighten any wildlife away, you can get closer than ever before. Just sit back, relax and keep your eyes peeled for big cats, a tower of giraffes or a family of elephants coming to drink from the delta’s waters. 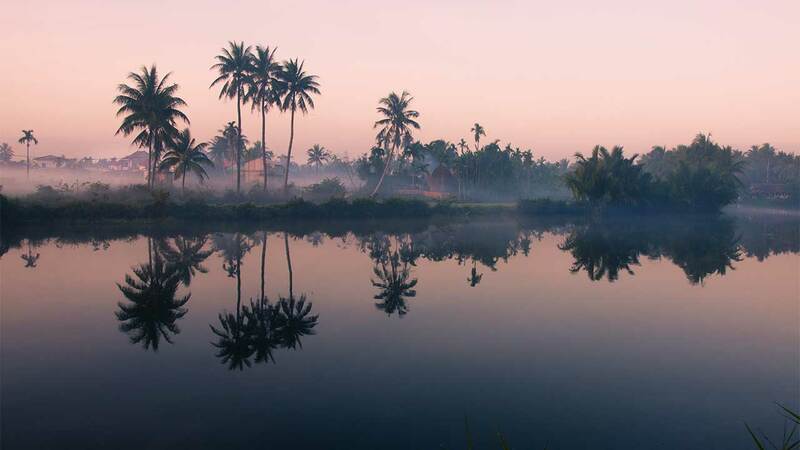 Enjoy a safari experience like never before as you drift lazily though these dream-like waterways. The west coast of Australia is considerably more remote and less traveled in comparison to the east, but journey along the road less traveled in Western Australia and you won’t be disappointed. The epic road trip through arid desert and white sandy beaches takes you to one of our favorite corners of the country; Shark Bay. Home to the world’s highest population of tiger shark and azure Indian Ocean waters, it’s the Francois Peron National Park that has really won us over, with the swirling hidden lagoons completely tucked away from the usual tourist trail – a 4wd is essential to access them. A series of natural pools that were originally birridas (old salt clay-pans) that have been flooded by the sea, the lagoons are perfect for escaping the crowds and getting back to nature. Cloaked by the unforgiving, undulating landscapes of the Baining Mountain range, The Tolais tribe have lived off the furrowed interior of Papua New Guinea for thousands of years, and their traditions and values peak our interest further with every visit. To get a true taste of tribal life, embark on this cultural odyssey in the Baining Mountains, where you can hike between the local communities and bed-down in traditional oval huts in the pulsating heart of authentic Tolais villages. Whilst retaining the utmost respect for their customs and traditions, this adventure will awaken you to the cultural fabric of the Neolithic Tolais as you indulge in traditional feasts, practise ritualistic dance called the Duk-Duk sand delve into the everyday life of this fascinating, authentic tribe. Located off the coast of Northern Mozambique within the Quirimbas Archipelago you’ll find your very own desert island escape. Surrounded by impossibly blue waters Vamizi Island, just a speck in the ocean, is the perfect place for your fictional shipwreck. 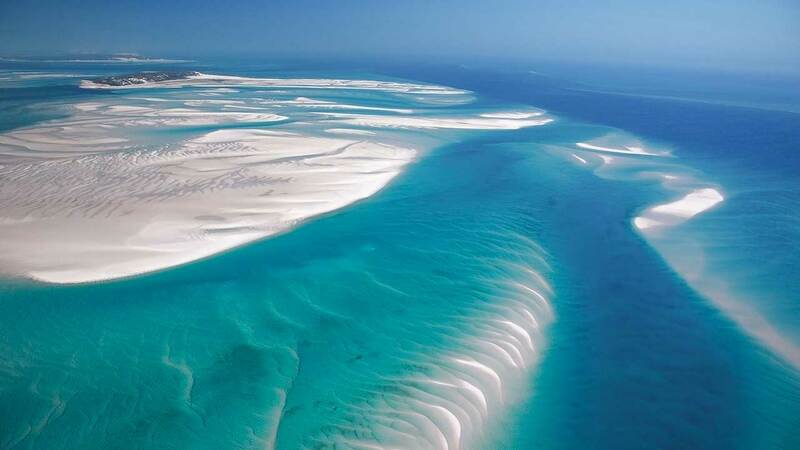 Robin Crusoe could only dream to land on an island like this with its pristine white sands just made for sinking your toes in. Explore the tropical forests where Samango monkeys fly between the branches before snorkelling in the warm Indian Ocean where 350 species of fish live amongst the colorful coral. 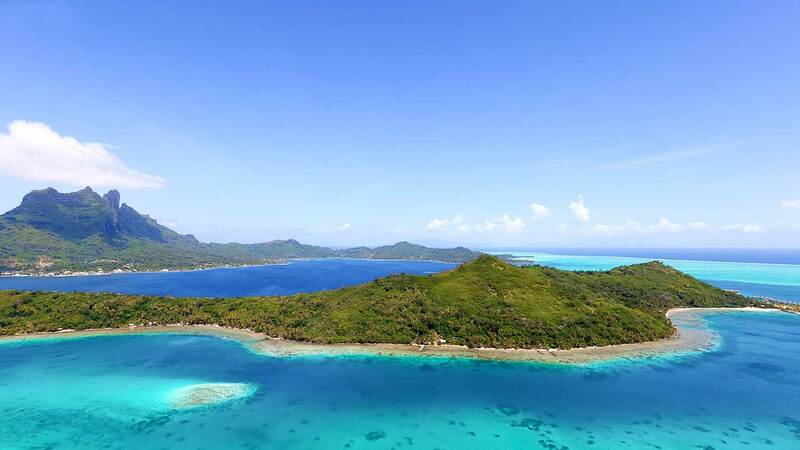 This castaway experience is something you need to tick off the bucket list and quick. Travel to Iceland, the land of fire and ice, traversing through steaming hot pools, exploding geysers and icy glaciers to its bubbling, sizzling heart, the volcano. This unusual, rare experience gives you the opportunity to descend 120 meters via an exhilarating open lift through the crater of the dormant Þríhnúkagigur Volcano. Step off the lift and find yourself in its giant magma chamber, large enough to house a 22-story building. Explored the mighty abyss with a private guide and learn the geological origins of this natural marvel and the complex pressures that caused it to form over millions of years. This exclusive experience provides a unique insight into the natural beauty of Iceland and the incredible geological workings of our planet. Landlocked and nestling between five countries you’ll find the mystical, laid back splendour of Laos. Less visited and untarnished by mass tourism, this somewhat unsung gem has truly preserved its cultural and historical roots. With lush vegetation, meandering rivers, stunning mountains and ornate temples, Laos is a rural and authentic breath of fresh air. In the midst of this enchanting natural beauty lies the northern province of Luang Prabang, once known as the land of a million elephants. Here, experience the life of a Laotian Mahout and his elephant who have been paired for life. These playful giants are considered part of the family and this will be clear from the warm interaction and bond between each elephant and Mahout. Learn phrases such as “pai pai” (asking the elephant to go) and “seung seung” (asking the elephant to lift his leg so you can climb on) before clambering onto the howdah (seat) or if you’re feeling confident, the elephant’s neck. Hold on tight as you lumber off on a trek into dense lush jungle, finishing at the river for daily bath time. Once back at the elephant village you can reward your mischievous companion with a large bunch of bananas or sugar cane and as the sun sets, relax and enjoy some delicious Laotian cooking overlooking the Khan river. The location that inspired Robert Louis Stevenson’s classic Treasure Island, Cayman Brac oozes the magical characteristics described in the novel. Boasting pristine waters encompassing a plethora of vibrant sea life, from hammerheads to sea horses, this treasured gem really is the jewel of the Caribbean. Delve into the mystical, rocky realms beneath the surface and explore the meandering, caverns, rich with dangling stalactites and rising stalagmites. With a wide range of unique caves to explore, test your climbing skills in the magnificent magnitude of the Great Cave, take in the picturesque views of the ocean from the mouth of Peter’s Cave or grab your torch and try not to disturb the bats in the aptly named Bat Cave, to name a few. With its twinkling turquoise waters, untouched beaches, rugged mountains and cobbled cultured streets, Croatia is Europe’s best kept little secret. Take the ultimate road trip through this charming country and explore the plefora of National Parks Croatia has to offer. With eight National Parks to play with you will be spoiled for choice as you explore each little gem. Venture to Croatia’s most famous natural wonder (and for good reason) Plitvice National Park, a UNESCO World Heritage Site, with its 16 idyllic lakes attached by waterfalls up to 78 meters high against a backdrop of majestic mountains and diverse vegetation. With the sparkling teal lakes and waterfalls of Krka, the 14 heavenly islands of Brijuni and the ‘nautical paradise’ of Kornati, this spectacular choice of unspoiled nature is a breath of fresh air. A world away from the bustling medinas of Marrakech lies a hidden gem nestling within the foothills of the snow-capped Atlas Mountains. Here, in the traditional province of Ouarzazate sits the charming town of El Kella M’Gouna. 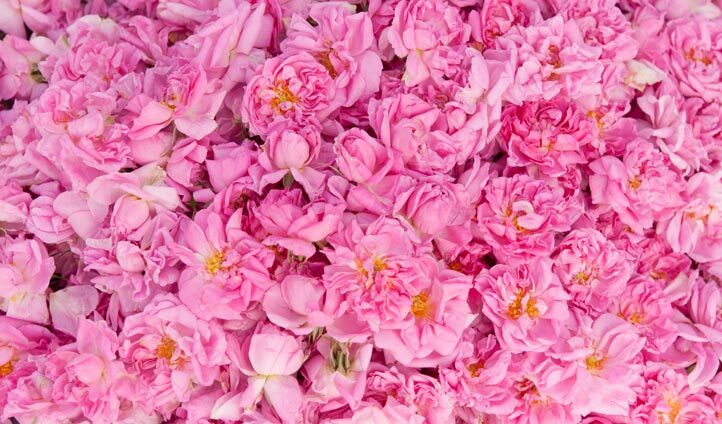 In spring the area transforms into a plethora of pink Persian roses. This annual three day festival is celebrated as the ‘Valley of the Roses’ where your senses will be stimulated from the sweet aromas of fragrant garlands, flower covered parading floats, and you will be entranced by the candy colored spectacle of thousands of pink petals strewn into the air. Join the party and immerse yourself in the vibrancy of traditional Berber dancing, witness skilful sword displays, and celebrate the ceremonious crowning of the Rose Queen. Don’t forget to venture down the perfumed pink streets to the souk and sample some of the delicious Moroccan dishes and purchase some local Berber goodies. This enchanting and magical festival is a unique experience not to be missed. 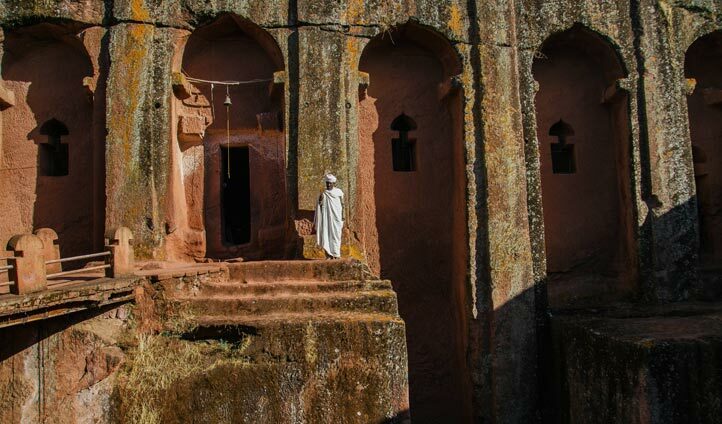 Boldly labelled the New Jerusalem; say hello to the historic goldmine that is Lalibela. This UNESCO World Heritage Site is Ethiopia’s crown jewel of architecture, religion and innovation all rolled into one magnificent package. The breath-taking 12th century churches are hewn from the rock itself making them a true feat of engineering and architectural skill. You’ll feel as if you’ve stepped back in time as you walk through this ancient village in northern Ethiopia which has caught the eye of Coptic Christians worldwide. 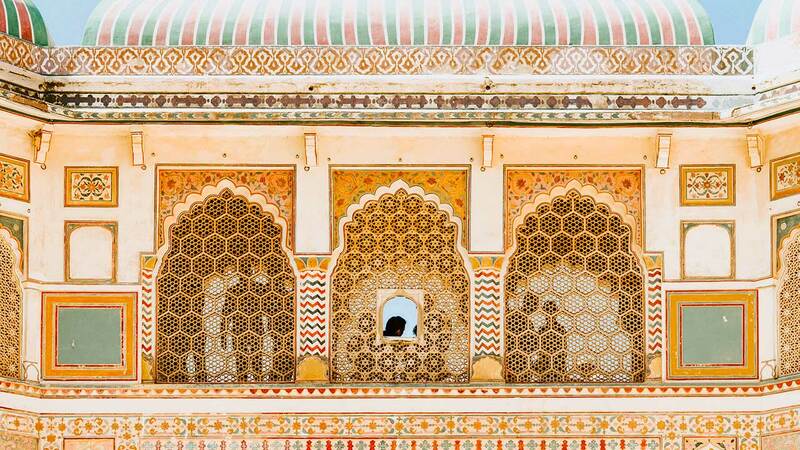 Before everybody else catches on make your own pilgrimage to delve inside the beauty of this world gone by. Incomparable to the neighboring tourist hub of Dubai, Oman offers an untouched, adventurous alternative to Arabian travel. A land of desolate deserts, monstrous mountains and enchanting culture, this middle-eastern gem offers a diverse collection of exploration opportunities, but the labyrinthine expanse of the Musandam Peninsula is always our first port of call when getting our fix of Omani adventure. Replete with authentic fishing villages, eclectic wildlife and perfectly potholed scenery that aches to be explored, a hiking adventure in the detached Arabian fjords of Musandam offers an insight into Oman’s rural heart. 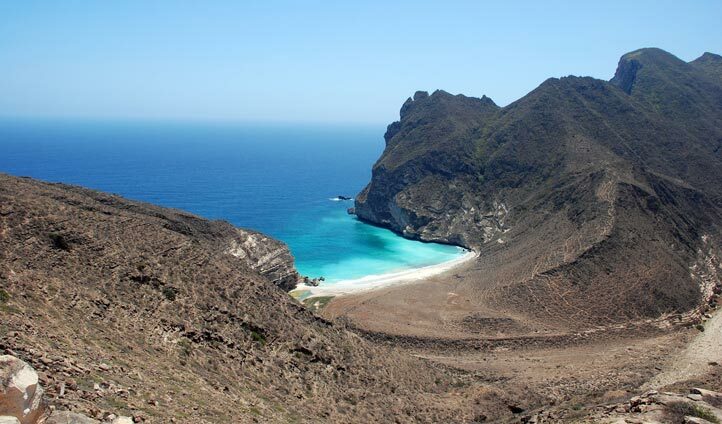 Take on the seven hour hike to Jbel Qihwi, the highest peak of the peninsula that grants sweeping coastal vistas of the beautifully cracked landscape. Or opt for a slightly more manageable conquest with a trek to Sal Hamdan village, where you can converse with friendly locals, trek across terraced fields and trace the roots of ancient petroglyph rock carvings. Sheltered from civilisation in the Guatemalan highlands, where abundant nature and wondrous wildlife meet, Semuc Champey is a little Latin American secret that we just have to share with you. 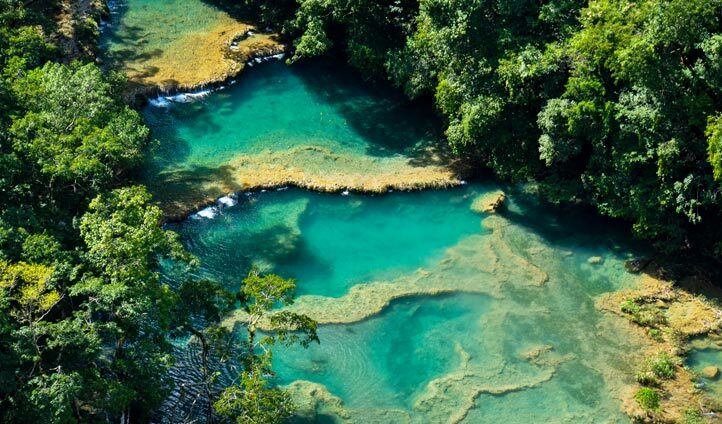 Nestled within the valley of the Cahabon River, these tiered rock pools offer a true slice of paradise for those looking to explore the heart of Guatemalan beauty. Perfect for getting in touch with your inner explorer, a visit to this natural waterpark offers languid stretches of turquoise water, pitch black caves that can be explored by the flicker of candlelight and more trekking trails than you can shake a hiking pole at. If you’re looking for a true taste of Latin American adventure, you’ll find it at Semuc Champey. 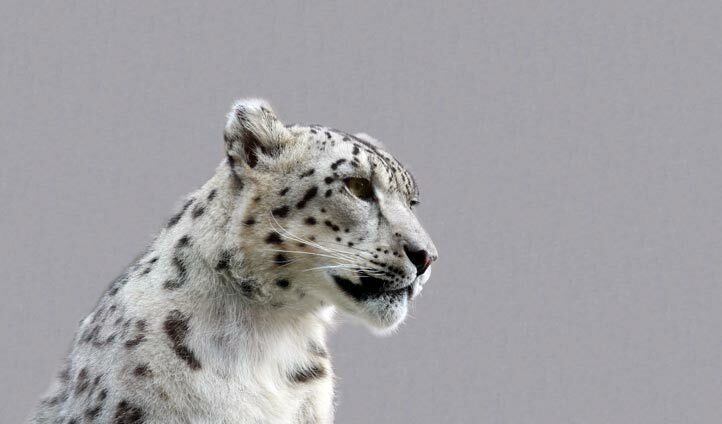 Experience a unique Himalayan adventure and venture to mystical Bhutan in search of the elusive snow leopard. 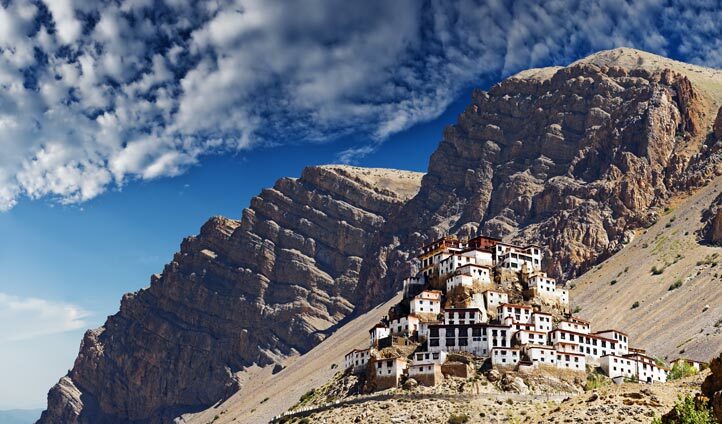 Situated on Bhutan’s north-western border with Tibet this remote and peaceful area is sure to take your breath away. Explore the rugged alpine landscapes, deep valleys and snaking crystalline streams and channel the enigmatic nature of the snow leopard. If you’re lucky you’ll get the chance to see a bharal (blue sheep) amidst valleys of antelope and marmots as you trek through the rocky landscapes in search of your master of camouflage. Traverse through the wilderness to the stunning wonder of Chomolhari and the charming town of Laya, before finishing with a dip in Gasa Tsachu hot springs. Untouched by mass tourism and visited by fewer than 300 visitors each year, this is an exclusive adventure that few will ever have the privilege to experience. Majestically situated in the Andes in the Mendoza Province of Central West Argentina towers the imposing Aconcagua. Nicknamed the ‘Colossus of America’, this magnificent stature is the highest peak in both Southern and Western Hemispheres, and the second highest of all summits outside of the Himalayas. Its magnitude puts this experience high on many adventure junkies bucket list, with its breath-taking and unique natural beauty in this protected natural area being a must see for those throughout the world. 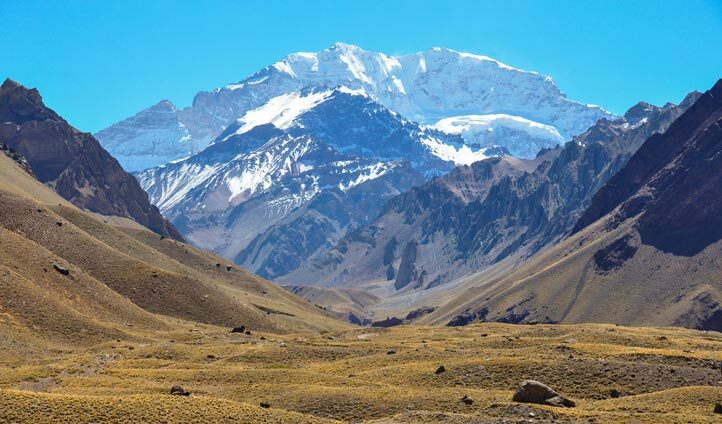 Escalating 4,000 feet above its adjoining peaks and 6962 meters above sea level, Aconcagua sits near the Chilean border, with its snow-capped top visible all the way to the Pacific Coast. Immerse yourself in this entrancing landscape, hiking from the foothills of the mountain up through the dazzling Valle de Vacas keeping your eyes peeled for a majestic condor or a purple eagle. This sought-after opportunity allows you to traverse the mountain’s magnificent magnitude with captivating views across sprawling pastures filled with vegetation of low bushes, goat horn, yellow firewood and flowering yareta, amongst a landscape of dotted glaciers and meandering streams. Go on, challenge yourself. Where blood red dunes roll into a coarse, crooked coastlines and decrepit shipwrecks shelter cohorts of hardy wildlife, Namibia’s Skeleton Coast defines bleak African beauty. 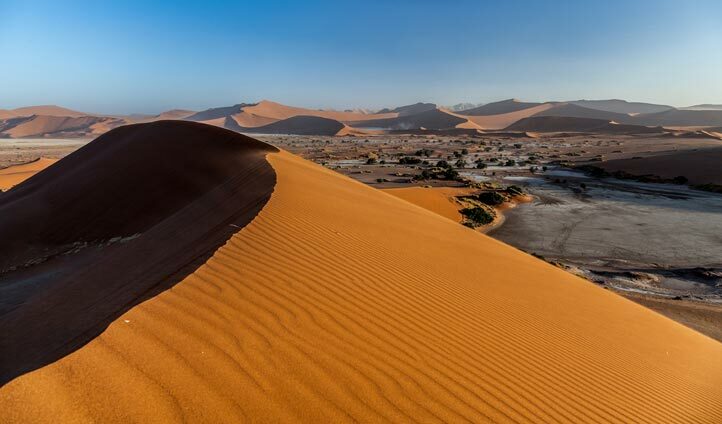 Stretching for the entire length of Namibia, this desolate landmass is the largest desert on earth and though inherently dangerous and incredibly unforgiving, is also the perfect spot for a dose of stripped-back exploration. There’s no better way to explore the haunting beauty of the skeleton coastline than with a heli-hiking expedition, where you can awe at the stunning bird’s-eye views before being dropped amongst the rusted maritime scenery and ebbing tides of the South Atlantic Ocean. After touching down on the remote dunes, clamber through the ribs of ancient ships, search for photo-ops with baby cape fur seals and take a dip in the wind-beaten waters, where you can even try your hand at surfing amongst the powerful Atlantic swell. A veritable trove of cultural treasures, nowhere on earth rivals Japan for authentic festivals and celebrations. 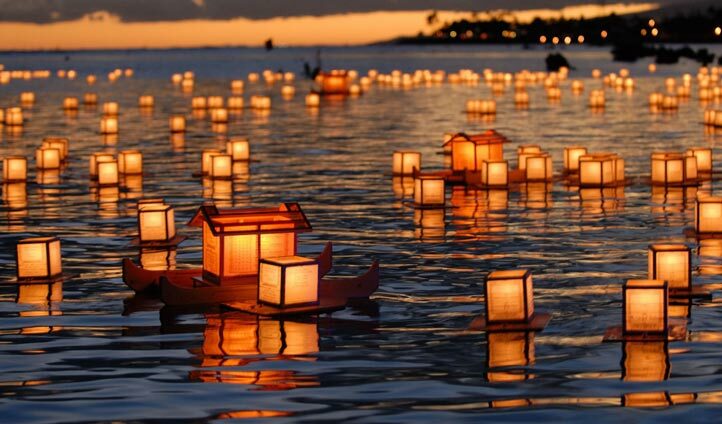 If you’re visiting during July you’ll be lucky enough to catch Obon, or the Festival of Souls as it’s also known. 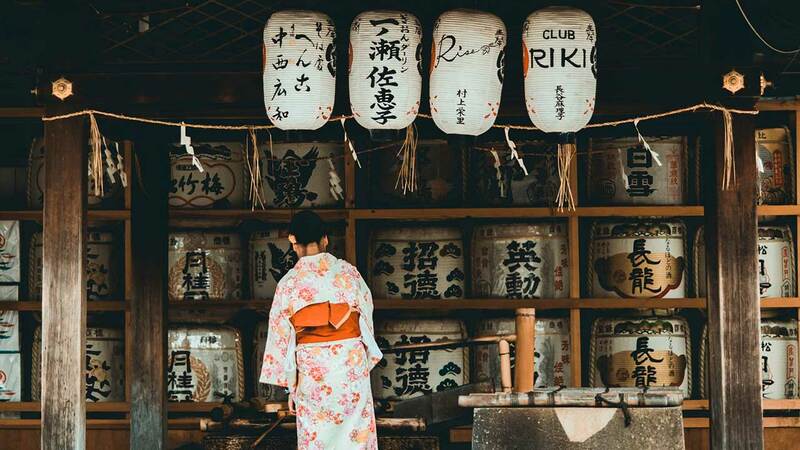 During this Buddhist celebration, the Japanese people believe that the souls of their deceased ancestors return to their homes on earth and the locals celebrate this by hanging lanterns from their doors to welcome back the souls. Complete with traditional Bon dancing and a bevy of mouth-watering culinary offerings (this is China after all), the three day Festival of Souls is one of the most enchanting celebrations in northern Asia. If you find yourself in China during early July, you simply have to join in on the celebration, where you can dance with the locals, light your own lantern and enjoy a unique insight into Buddhist beliefs. Located in the South-Eastern province of the emerald isle rests the tranquil oasis of the Gal Oya National Park. 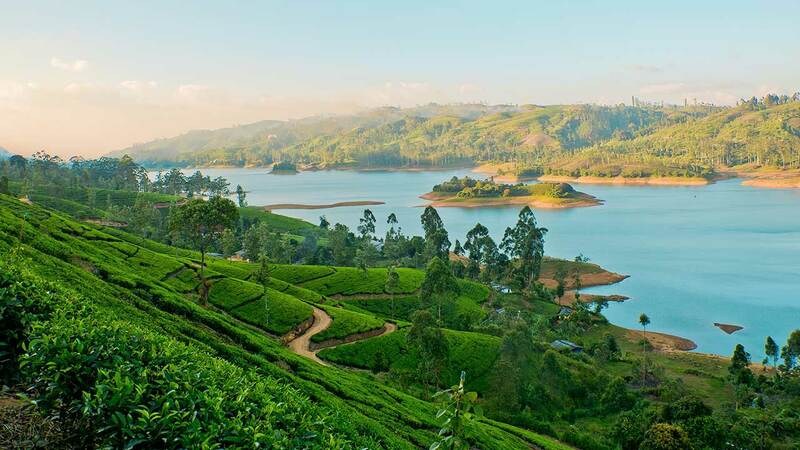 Stretching for 25,900 acres of lush flora and thriving fauna, landlocking the mighty Senanayake Samudraya lake, this beautiful protected area of natural beauty is a pure, untouched haven. A paradise for nature lovers, this spectacular area will take you on an exploration of bountiful wildlife, where you can spot leopards and toque macaques from jeep or by foot. 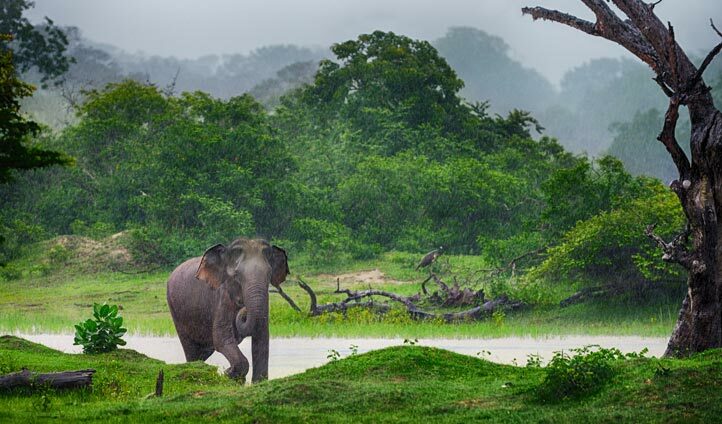 Additionally, cross the lake between islands of nesting birds and freely grazing elephants on Sri Lanka’s only boat safari, where you will be sure to get up close with elephants swimming and bathing in the water. Light a lantern and join the magical celebrations for Loy Krathong Festival. Celebrated on the full moon of the 12th lunar month (usually November) this ancient festival gives thanks and well wishes for the year ahead by lighting candles and lanterns to begin the festivities. Join the Isaan community to prepare boat-shaped krathong’s brimming with offerings of flowers, coins or food and watch these be lit before they float down the river, with the endurance of the flame signifying the wishes of the community, the liberation of sins and the success of the year to come. Learn how to make your own krathong, light an incense stick and release your basket down the river amidst a sea of twinkling candles, remembering to make a wish as you do. 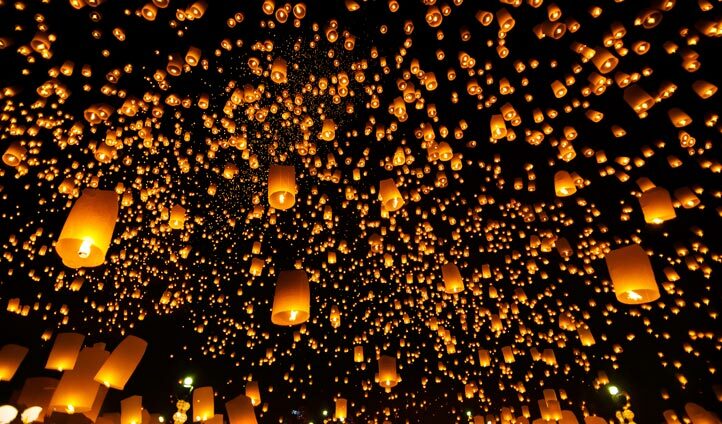 Watch the skies fill with thousands of paper lanterns as they are soar above like hot air balloons. Make unforgettable memories and immerse yourself in this spiritual and romantic celebration of light. 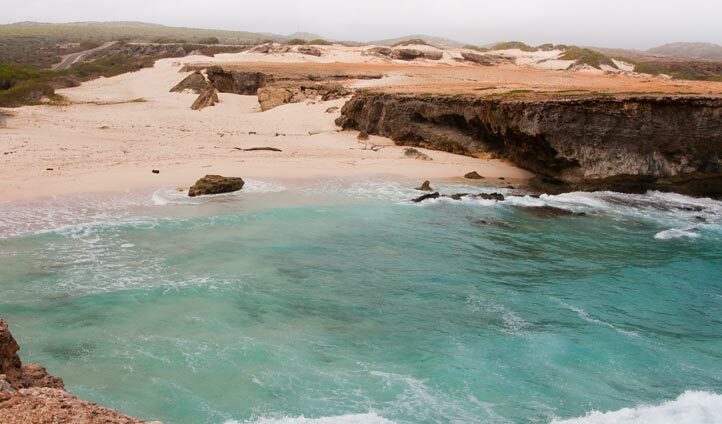 Hiding in plain sight on the spectacular Caribbean island of Aruba is almost 8,000 acres of virtually untouched tropical paradise, otherwise known as Arikok National Park. It’s the perfect spot for a picnic, so leave the crowds behind and hop in your 4×4 as you embark on your off road adventure. Home to colorful parakeets and whiptail lizards basking in the sun the park is a haven for wildlife making for a photographer’s dream. A stark contrast to the beaches on the other side of the island, head off the tourist trail and you’ll have the park’s rugged landscape all to yourself so make sure you don’t miss this unforgettable oasis while it’s still a secret. 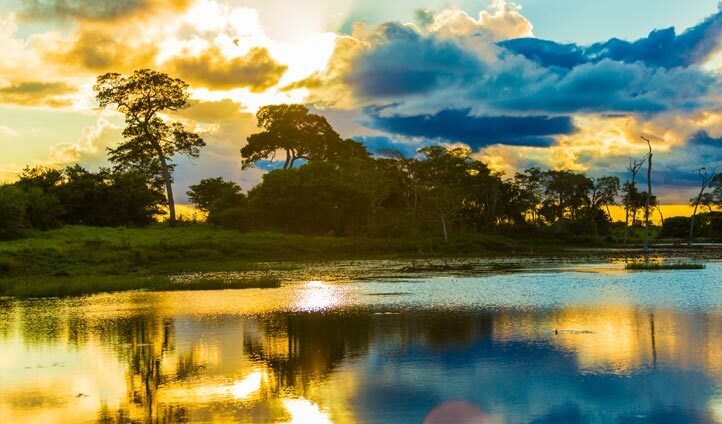 Shadowed by its more publicised big sister the Amazon, few are fully aware of the ecological paradise that is the Pantanal. Covering more than 210,000 square kilometers of central Brazil, eastern Bolivia and north-eastern Paraguay the Pantanal is the world’s largest freshwater wetland with an incredible biodiversity – with open marshes this flourishing ecozystem is far better to spot wildlife. Take a boat trip and glide through the sparkling riverbeds brimming with hyacinths and giant waterlilies, watching sleepy capybara sunning themselves, howler monkeys swinging though the trees and vibrant toucans perched on branches. Amidst these captivating close encounters keep your eyes peeled for a rare giant otter or elusive jaguar, one of the few places you can still see them in the wild. This serene oasis is a must see and if didn’t adore animals when you arrived, we guarantee you will when you leave. Though often dwarfed by the bragging rights of Lombok’s Mount Rinjani, the treks and trails surrounding Mount Bromo are by far and away our favorite hiking opportunities in Indonesia. The hike to Bromo’s summit is just a 15 minute trudge up 253 time-weathered steps, but the rewards are truly stunning, with expansive vistas that stretch across the otherworldly landscapes of the Bromo Tengger Semeru national park. 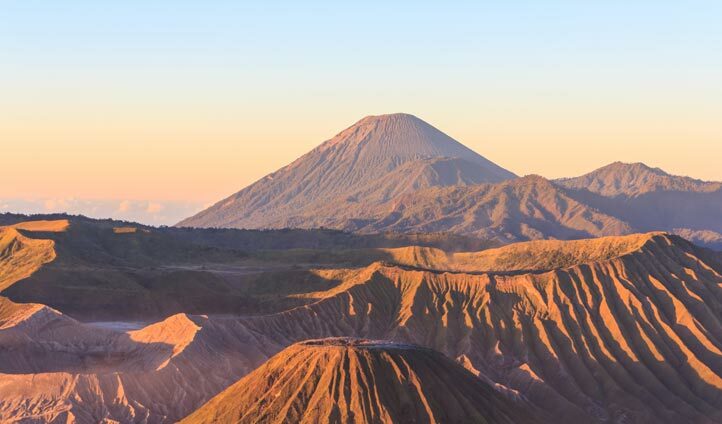 For a truly breathtaking morning, we like to combine the conquest of Mount Bromo with a sunrise trek to the peak of Gunung Penanjakan, Bromo’s slightly larger volcanic brother that peers across to Bromo as the rising sun casts whimsical shadows on its potholed cone. After descending Penanjakan, make the 3km walk across the Laotian Pasir, or ‘Sea of Sands’, to the steps of Bromo, where the short hike waits to reward you with access to the smouldering crater and views that span back across the scarred valley floor. A hot bed of exciting culture, Cuba is fast becoming a must-visit destination. And from tasting your way around Havana’s rum bars, watching Salsa and Ballet dancing and exploring the colonial winding streets brimming with stunning street art, it’s not hard to see why. But it’s not just the culture hub of Havana that’s caught our attention – we’ve completely fallen in love with the rest of the island too. The best way to see it all? Atop a bicycle. Starting in Havana and heading west, the road takes you along endless stretches of beautiful Caribbean coastline, crossing Cuba’s highest mountain range, the Sierra Maestra, and meandering through the tobacco plantations of the Viñales Valley. 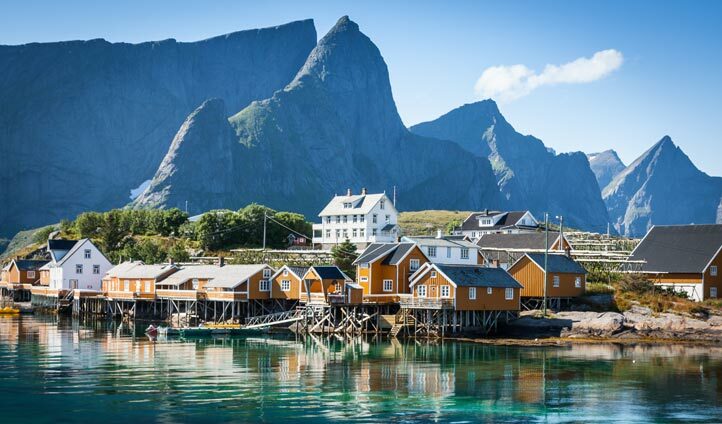 Hidden within the Arctic Circle, nestled in an archipelago of islands and stretching 200km southeast into the Atlantic Ocean lies the remote fjords of Lofoten in Norway. Wrap up warm and get ready to ski in some of the most dramatic and enchanting mountain scenery you will ever see, with waves of pure, untouched white powder engulfing the slopes and peaks around you. Trek to the summit and experience awe-inspiring views of the fjords before skiing all the way down to the icy water’s edge below. This extraordinary location will not only tick the box for epic skiing, but its remote location is perfect to witness the breath-taking, bucket-list-ticking Northern Lights and Aurora Storms. We can think of nothing more magical than watching the pure night sky alight with billowing hues of electric green against a stunning backdrop of snow covered peaks. This hidden snow-capped jewel is an absolute must see. One of the new natural wonders of the world and a cherished UNESCO world heritage site, the Puerto Princesa is a natural phenomenon that’s home to over 195 species of bird, 30 mammals and 19 reptiles. The snaking subterranean river cuts through the heart of limestone and karst cliffs with consummate ease, offering the ideal waters for an intrepid canoeing adventure. With an oar in hand, meandering through the subway complex warrants ethereal views and a truly otherworldly atmosphere, where crystal caves and fossilised formations follow you downstream. 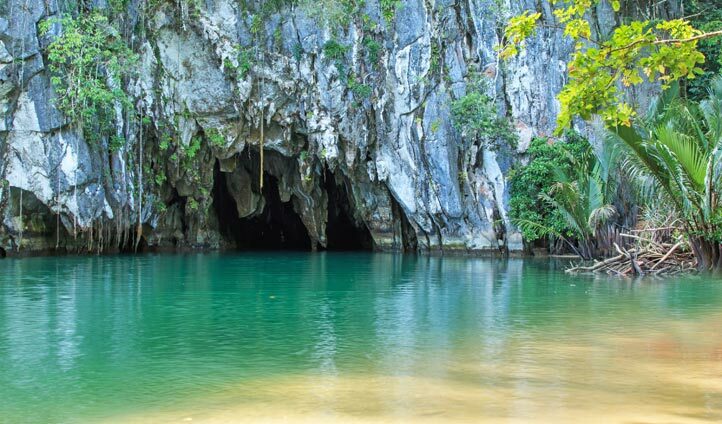 After cruising through the cave complex and studying the unique interior, the Puerto Princesa deposits you into the bosom of the South China Sea, where one of our favorite hidden beaches awaits. Bordered by the turquoise waters of four different seas, Turkey boasts pristine coastlines, majestic mountains and broad valleys. Immerse yourself in its stunning, natural landscapes and hike the Lycian Way, one of the world’s top 10 walks. 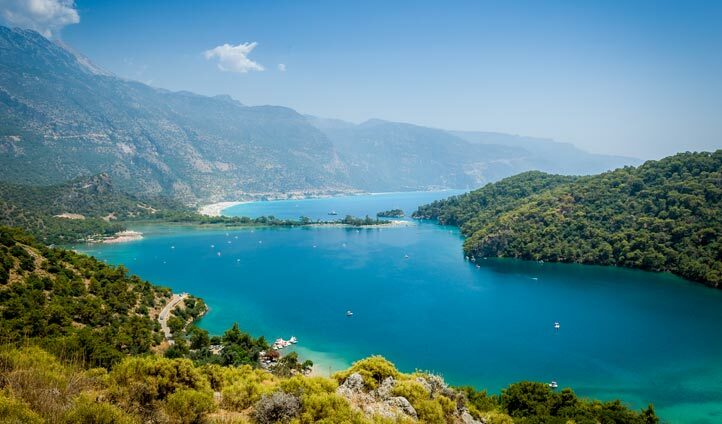 Stretching for over 500 km along southern Turkey’s breath-taking coastline, prepare for fantastic views, ancient historic ruins and unspoilt natural wonder. Traverse through pretty mountain villages and seaside towns, observe the eternal flames of Chimera rising from the rocky mountainside and explore the ancient ruins of Olympos. Hike to the peak of Mount Tahtali taking in sublime views of the valleys and idyllic waters below before finishing your trip with a well-deserved swim at the charming Cirali beach. 2 billion years old, 277 miles long and too beautiful to fathom, the Grand Canyon never fails to blow our mind. It’s near impossible to capture the beauty of this world wonder through a photograph and we believe that the only way to experience the canyons awe striking beauty is in person. A horseback journey across the north Arizonan showstopper is the perfect way to immerse yourself in the undulating beauty and honey-hued landscapes of the canyon. 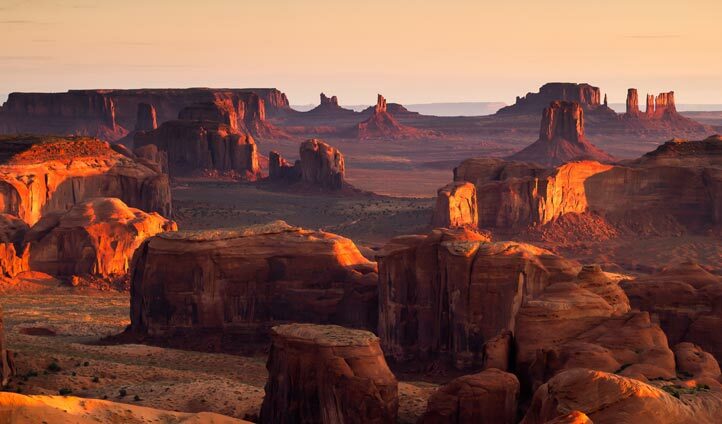 The three rims each offer their own allure, from the Native American ruins and historical prowess of the south to the pure solitude of the north, and a private horseback tour promises to provide that authentic Wild West feel during your exploration of this all-American icon. Nestled away in the Indian Himalayas, Ladakh is the tranquil region of India, where Buddhist monasteries are weaved in between the breathtaking mountains and lakes. But for the ultimate insight into this spiritual Himalayan region, embark on a journey of discovery with the King of Leh. Travelling from Delhi to Leh, the King of Leh H. E. raja Jigmet Wanchuk Namgyal will act as your private guide and host, taking you through mountain villages, cycling over the Rohtang Pass, Shingri Glavier and Lake Suraj Tal, staying at luxurious tented camps along the way. Visit the Matho monastery, the only monastery which follows Sakya order of Tibetan Buddhism, as well as the Thiksey monastery where guests can have exclusive access to witness the Morning Prayer. This is a truly unique insider view, with some of the most incredible scenery in the world. One of Africa’s most stunning and underrated areas, the Matobo National Park has gone from a much avoided destination to a must visit. Situated 34 kilometers south of Bulawayo in the magnificent Matobo Hills you will feel as if you are looking at an art installation with its balancing towers of angular boulders, red tinted granite rock and smooth whaleback hills rising against a landscape splattered with wooded thickets and valleys. In 2003 this area became a UNESCO Natural World Heritage Site, protecting and preserving 44,500 hectares of natural beauty. Home to Africa’s largest concentration of leopard and successful breeding ground of black and white Rhinos, take a guided walking tour or 4×4 to spot these beautiful creatures among many more. View cats move through the rocky ridges and track rhinos with an expert guide against a backdrop of perched black eagles on rocky boulders. 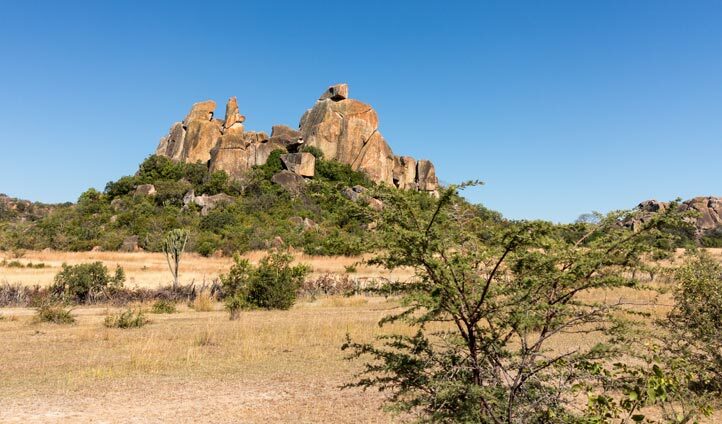 As well as stunning scenery, Matobo is rich with human history. Visit its spectacular collection of well-preserved rock art from the early San hunter-gatherers and hike to the final resting place of English colonialist Cecil Rhodes, located in the hills overlooking what is fittingly named the ‘View of the World’. From the distinctive footprints of blue-footed boobies to the kaleidoscopic colors of sally lightfoot crabs, the Galapagos islands are home to some of the most unique and fascinating wildlife on earth. You don’t have to look far to be embraced by the natural wonders of the archipelago, and with a name that translates to turtle in Spanish, you’re a good as guaranteed to see one at least one giant tortoise during your journey to these pristine isles. Looking past the legendary tortoise from which they get their name, the Galapagos islands boast an endless list of protected species, from rare marine iguanas to soaring Galapagos hawks and waddling penguins. Take the short 2 hour flight from Ecuador and dive straight into the resplendent nature and wildlife of Darwin’s islands. 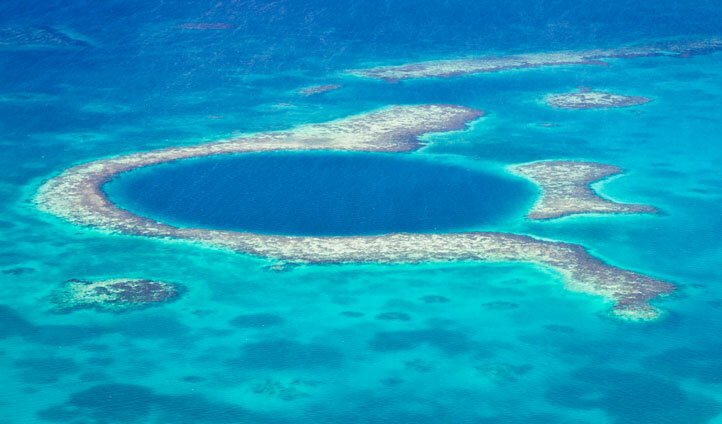 A lesser discovered Caribbean gem, Belize is defined by lush rainforests, powdery sands and patchworks of the clearest, most alluring water on earth. 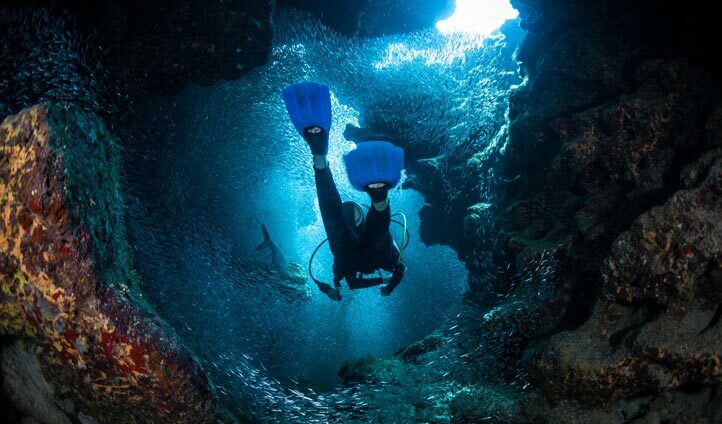 Offering the perfect gateway to explore these waters, Glovers Reef epitomises the aquatic wonders of Belize and provides some of the best scuba-diving experiences in the country. Whether you’re an underwater expert or a first timer, the 56 linear miles of this pristine reef promise an aquatic adventure that will suit your skill-set. Discover the relaxed, ethereal hue of Emerald Forest Reef, where behemoth outcrops of elkhorn coral project dancing verdant shades upon sholes of angel and parrotfish. Or for a more intrepid experience, delve into the aquamarine midst of Shark Point, where the heavy seas permit only a handful of dives per month but practically promise sightings of hammerheads, whale sharks and tiger sharks. If you don’t own a GoPro, it might be time to invest. 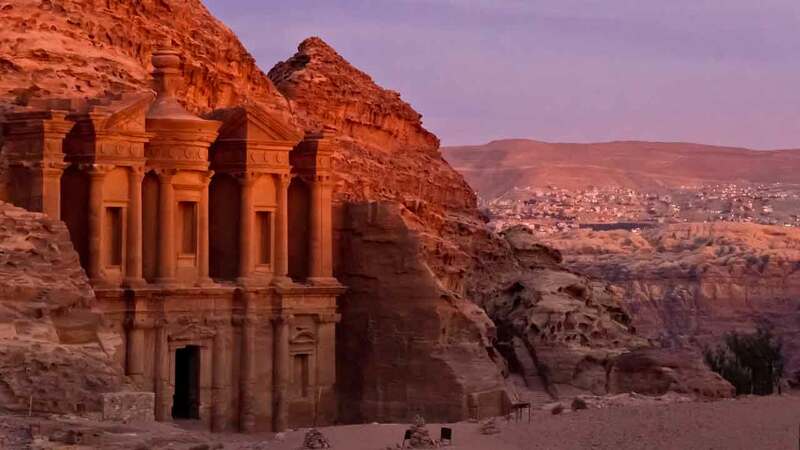 Star of the silver screen and a firm favorite in our little black book of archaeological wonders, Petra is an iconic landmark whose chiselled good-looks and otherworldly aura never fail to inspire us. 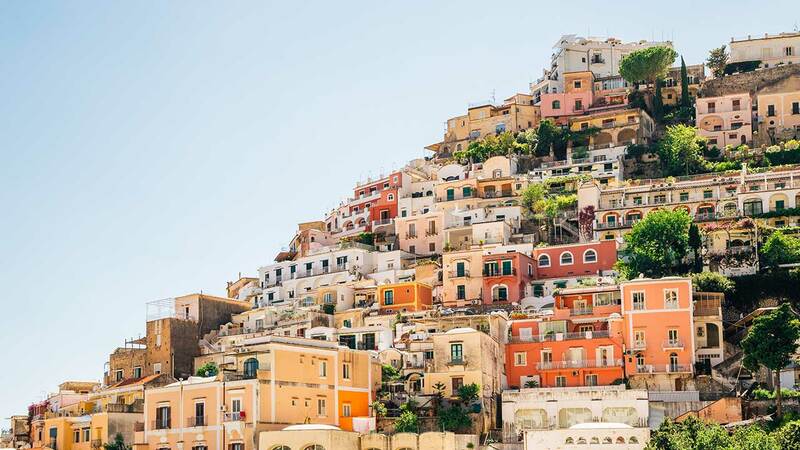 A day trip to this iconic city affords dusty hiking experiences and poignant color palates that range from sunburnt terracotta to golden honeycomb. But it’s when the sun sets that this Jordanian charmer really starts to impress, and as the last of the light fades beyond the rocky outcrops, we can organize for hundreds of candles burst into life and lead the way to the treasury, where a gourmet Jordanian meal awaits under in the shadow of the carefully carved stone. 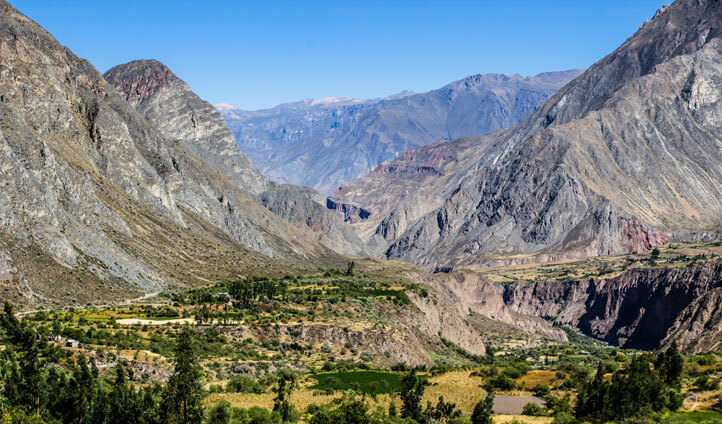 With everyone flocking to Machu Picchu you won’t have to battle the crowds here so get ready to escape the tourist trail as you explore this vast canyon and all its stunning ecozystems. Take your road trip to new heights as you drive along the Stelvio Pass in Northern Italy. Driving fans will be chomping at the bit at the thought of cruising along the highest mountain pass in the Eastern Alps. It’s been named the best driving road in the whole of Europe so you know it will be something special. This winding route will take you through spectacular rugged mountain landscapes as you take the wheel in your very own episode of Top Gear. Navigating Stelvio Pass is a definite requirement for any real motor lover so get a move on. Just west of San Pedro de Atacama in the salt mountain range Valle de la Luna meaning Valley of the Moon is the place to be as the sun sets. 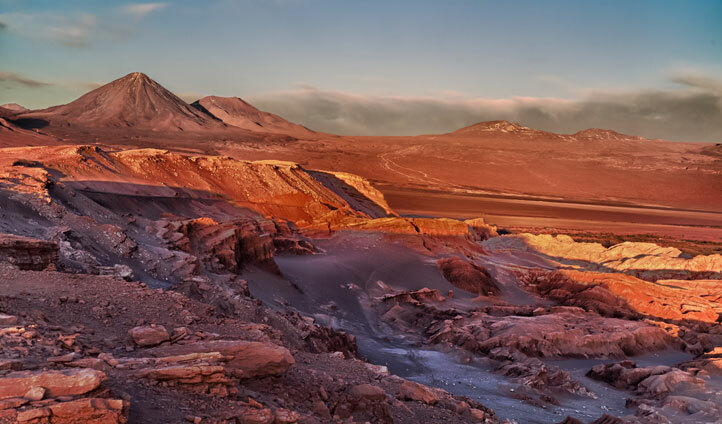 Trek through the spectacular Chilean landscape with the desert sun warming your back before reaching the top of the red dunes where you’ll settle in to enjoy the show. It won’t just be the altitude that takes your breath away as the sky lights up with lilacs, deep purples and pink hues as the sun falls below the horizon. 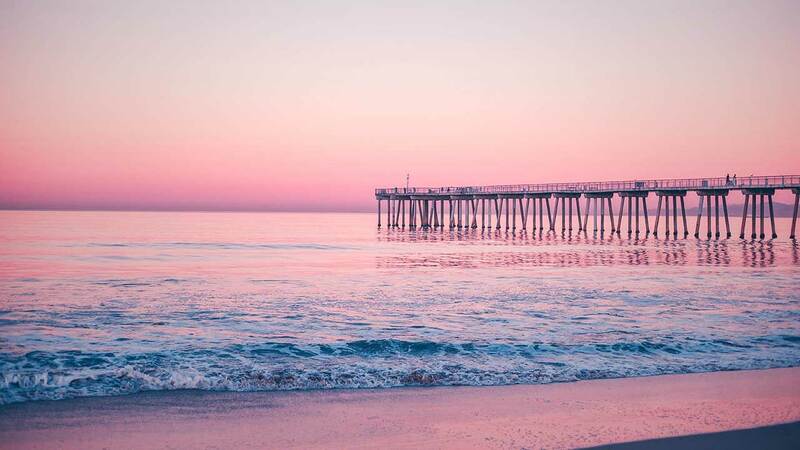 Once you’ve seen the distant volcanoes and salt mountains against this beautiful pastel backdrop all other sunsets will pale in comparison so bring your camera to capture this mesmerising moment. First came heli-surfing, then came heli-skiing. 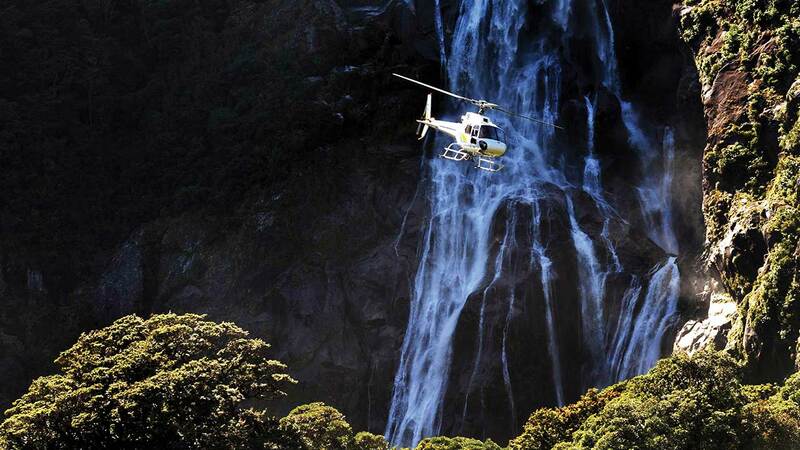 Now, we’d like to introduce you to heli-winetasting, and yes, it really is as amazing as it sounds. In between Croatia and Albania lies the stunning yet often overlooked Montenegro. There’s no better spot for a helicopter ride, stopping off at a selection of vineyards and wineries along the way. Nestled on the border of Albania the lands around Lake Skadar are where the Montenegrin specialty of the Vranac grape is found. 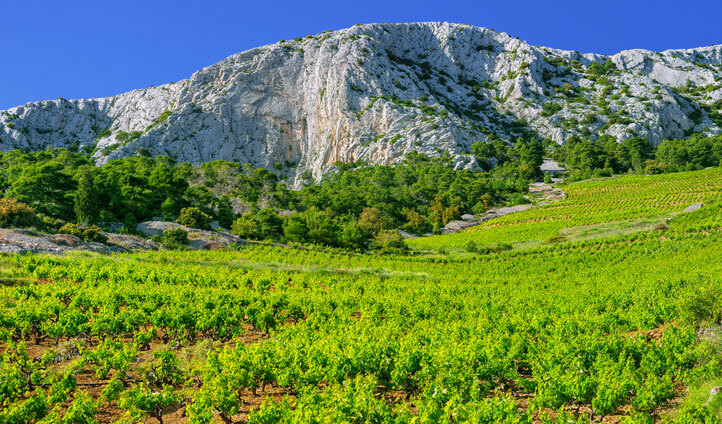 You’ll be treated to a spectacular view of rugged landscapes and untouched beauty on your journey to this viticulture’s heaven where you’ll sample the delicious dry red wine. With such an irresistible flavor word is sure to get around so make sure you get in quick. 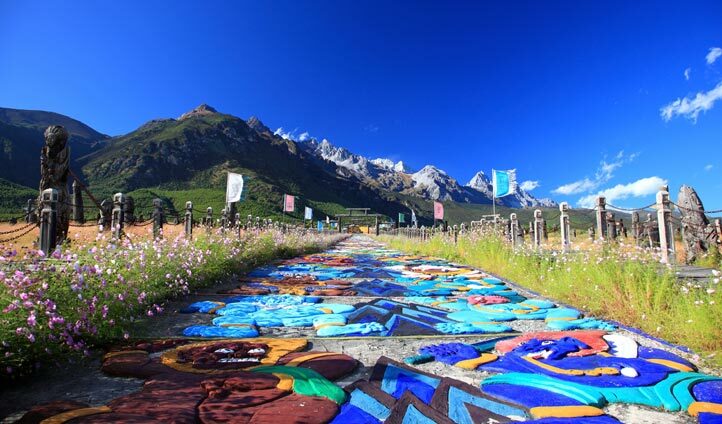 Situated in the northwest of the Yunnan province in China, Lijiang is home to the ancient Naxi tribe. With the old town labelled a UNESCO World Heritage Site and it fast becoming known as the ‘Venice of the East’ it’s no wonder it has such a rich cultural draw. As you wander the cobblestoned streets of Lijiang it’ll feel as if you’ve stepped back in time as you drink in the sight of the Naxi people playing traditional music. Ornate tribal dresses and the sumptuous feasts laid out before you will give you an amazing insight into their rich history. Head to this Naxi stronghold and absorb the cultural experience while it is still thriving. Located just south of Ibiza you’ll come across the 12-mile long slice of paradise that is Formentera. Carve through the impossibly blue waters as you sail around this Spanish island whose beaches are some of the best in the Mediterranean. 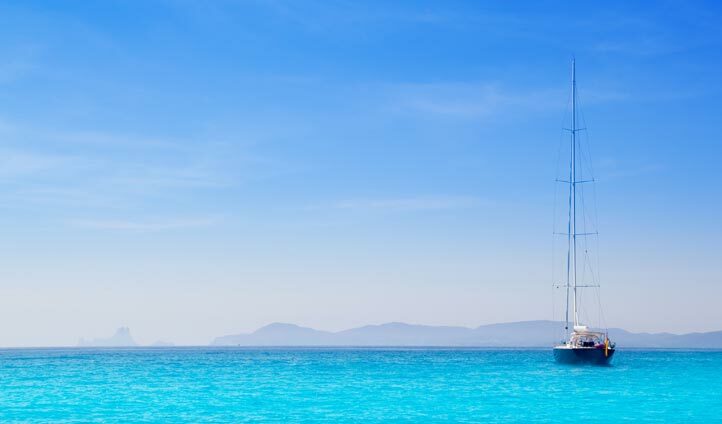 The tranquil little sister of Ibiza, Formentera is the perfect place for sailing fanatics to weigh anchor. The warm crystal clear Mediterranean teems with marine life and the sunset here is that much sweeter. An island of this beauty won’t stay out of the limelight much longer so prepare to set sail.